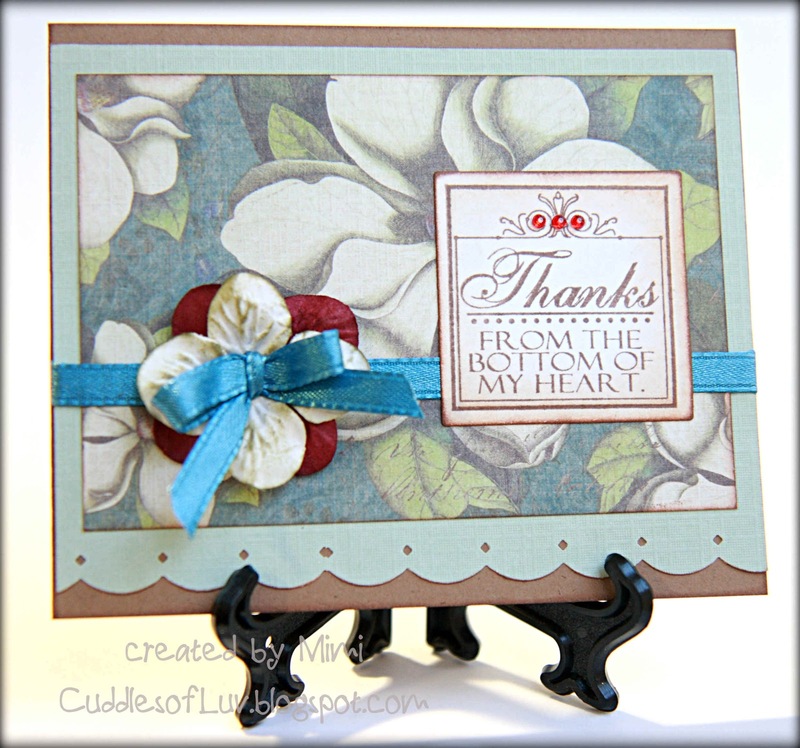 It's always great to have some of these handy, and this set of stamps is called Thank You Tiles from Whimsy Stamps. I wanted to make a set of these, but didn't have enough time to finish for the post, but when it's finished I'll post them to share! Please hop over to the LC blog to get details on this fun challenge, and to see more from Tammy and Joanna. Each week a couple of our team members will be sharing projects, so be sure to check back every Monday to see new inspiration! This is so beautiful, love the dp you used and the fabulous sentiment. 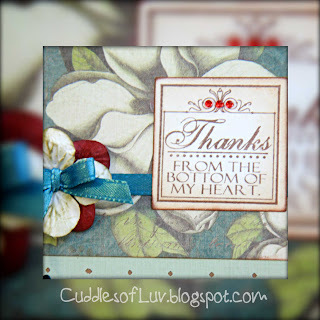 Thanks for playing with us this week over at Loves Rubberstamps!!! Love the colors of your card... Absolutely BEAUTIFUL! Great Job! 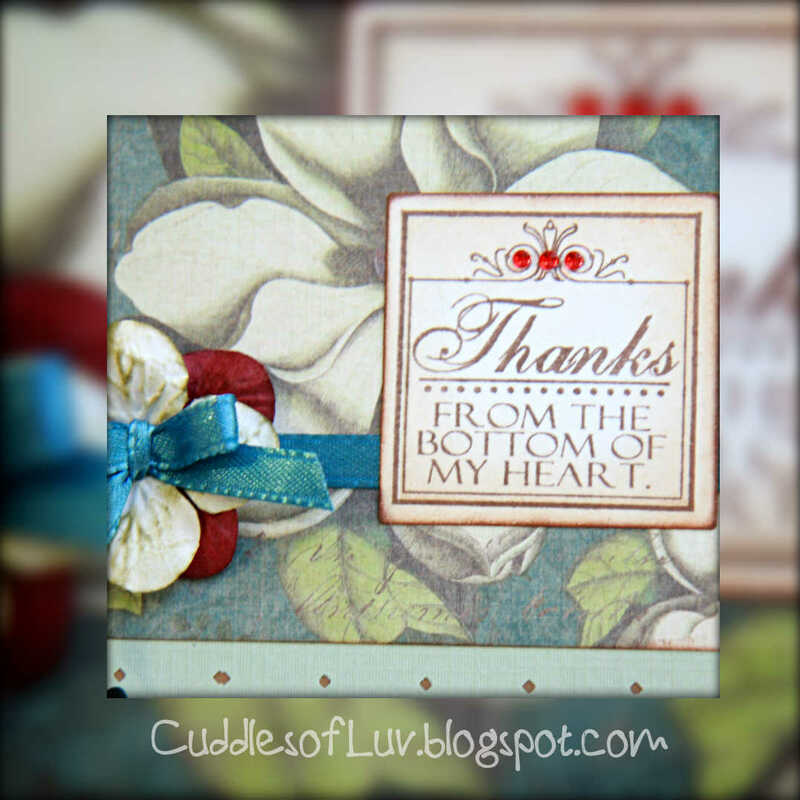 Very pretty card and nice sentiment. 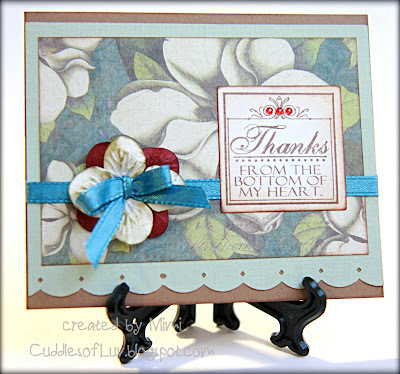 Very beautiful card - love the colors and the sentiment is lovely. Thanks for joining us this week at the Pile it On Challenge. Beautiful card! Thanks for participating in our PILE IT ON challenge! !